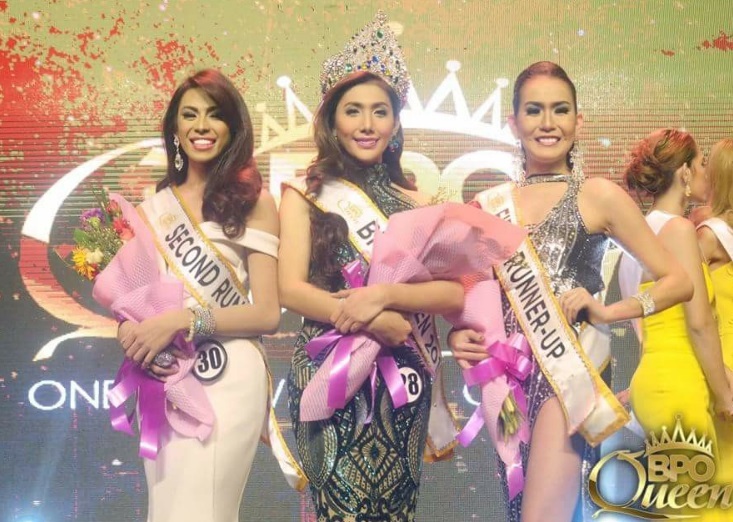 30-year-old call center agent from Mandaue Stephie Cabahug was crowned the first-ever BPO Queen held at the Mall of Asia Arena on May 29, 2018. Stephie of Cognizant bested 23 other beauties from different BPo companies. BPO Queen is the first nationwide pageant that pays tribute to the gay and transsexual members of the BPO (Business Process Outsourcing) industry.